My box of Pain Au Chocolat were inspired by my love of great bread and chocolate. 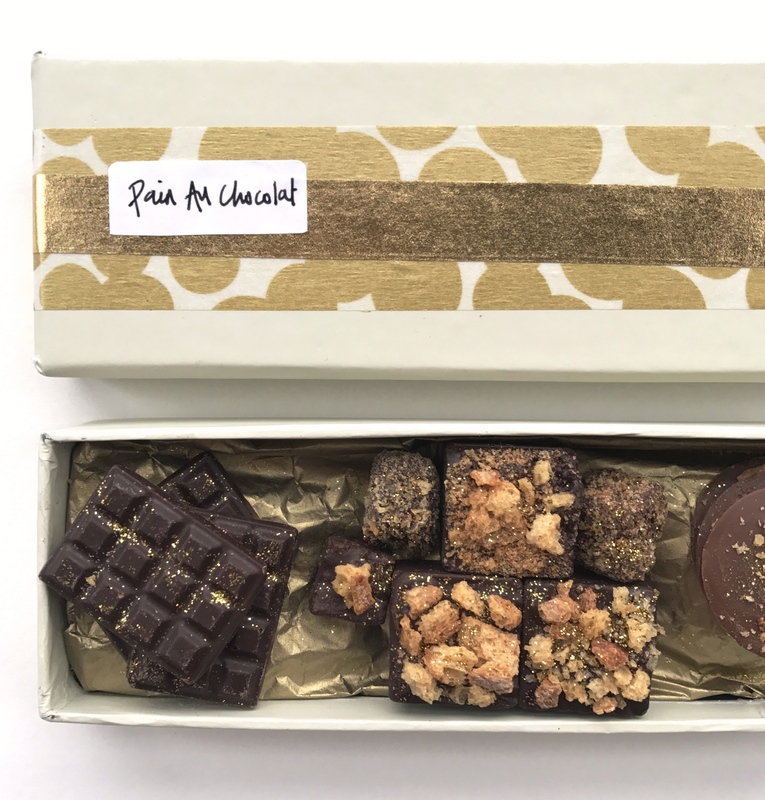 Using the remnants of a favourite loaf of Hambleton Bakery sourdough I was able to create a whole selection and box of chocolates. Each containing the goodness of bread, used in a variety of guises. From toasted breadrumbs to croutons, the crunch and depth of flavour from the sourdough was amazingly diverse to create with. I discovered that through baking cut up squares of the bread in the oven, the sourdough turned a delicious golden colour, reminiscent of honeycomb. It was this transformation that inspired me to create ‘crunchie’ chocolate croutons. 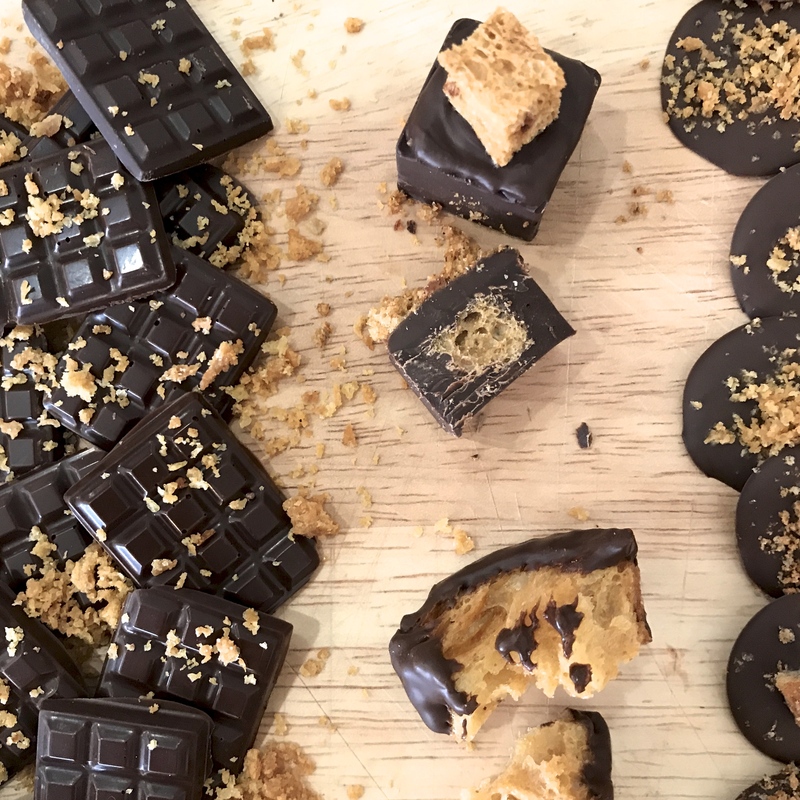 Once baked and cooled I dipped the croutons in chocolate, both fully and half covered, offering up two different looks and chocolate hits. 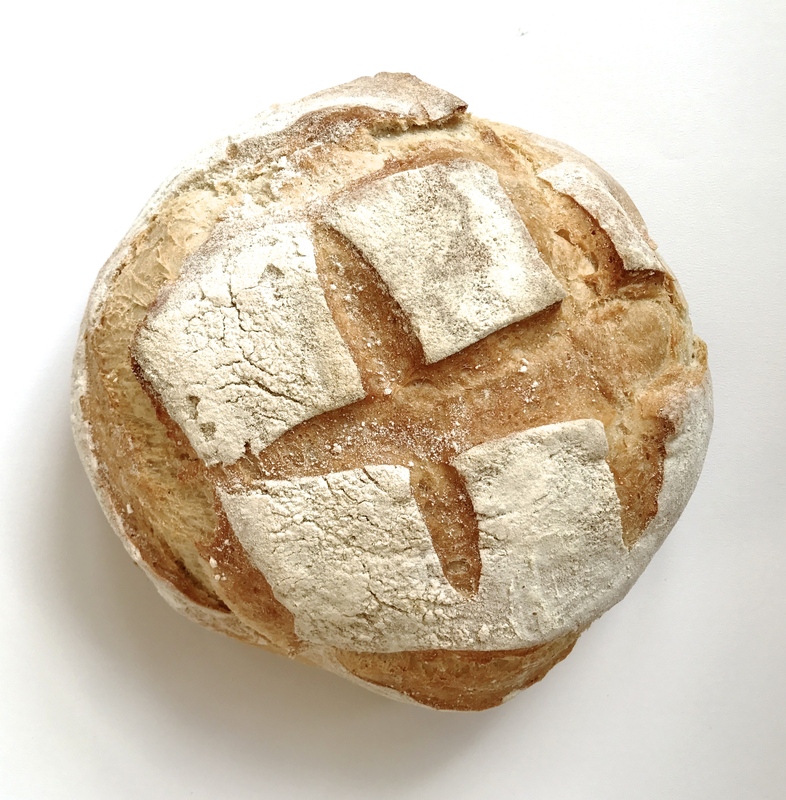 The natural sweetness and satisfying crunch from the sourdough resulted in a moreish taste sensation, as good as any traditional crunchie bar, but without the sugar. Other than the small amount found in the high cocoa percentage dark chocolate. The croutons were also used to fill and decorate the top of my chocolate chunks. While the crumbs were stirred through the remaining melted chocolate and used to make mini chocolate bars and bread buttons-with bite. I actually used a silicone macaroon mat to create the buttons, resulting in me being able to produce exact button shapes. While a mini silicone chocolate bar mould that I’ve owned for years but never used came into its own in the production of the borrower sized bread confectionary! Aside from having a lot of fun making the box of ‘Pain au chocolats’, the real satisfaction came from knowing the hero ingredient came from one of my favourite food staples, used and re-invented in a very tasty way.